Terengganu ([tərəŋganu]; :ترڠڬانو, ), formerly spelled Trengganu or Tringganu, is a sultanate and constitutive state of federal Malaysia. The state is also known by its Arabic honorific, Dāru l-Īmān ("Abode of Faith"). The coastal city of Kuala Terengganu which stands at the mouth of the broad Terengganu River is both the state and royal capital as well as the largest city in Terengganu. There are many islands located close to the coast of Terengganu state, such as Redang Island. There are several theories on the origin of the name "Terengganu". One theory attributes the name's origin to terang ganu, Malay for 'bright rainbow'. Another story, said to have been originally narrated by the ninth Sultan of Terengganu, Baginda Omar, tells of a party of hunters from Pahang roving and hunting in the area of what is now southern Terengganu. One of the hunters spotted a big animal fang lying on the ground. A fellow party member asked to which animal did the fang belong. The hunter, not knowing which animal, simply answered taring anu (Malay: 'fang of something'). The party later returned to Pahang with a rich hoard of game, fur and sandalwood, which impressed their neighbours. They asked the hunters where did they source their riches, to which they replied, from the land of taring anu, which later evolved into Terengganu. Terengganu was called Trangkanu (Thai: ตรังกานู) by the Siamese when it was under their influence. Terengganuans usually pronounce Terengganu as Tranung or Ganu. The traditional Chinese name for Terengganu has been "丁加奴" (Pinyin: dīngjiānú), which is a direct transcription of the Malay name. However, in recent years, the Chinese community in Terengganu has raised objections to the name, citing that the characters used loosely translate to "giving birth to a child who will become a slave" (Chinese: 添丁加做奴). Therefore, they successfully petitioned the regulatory commission for Chinese language in Malaysia to change the Chinese name for the state to "登嘉楼" (Pinyin: dēngjiālóu), which can be loosely translated to "aspiring/stepping up to a higher level", in September 2004. It is worth noting, however, that the new name has been in unofficial use by the state's Chinese society for at least 30 years before its official adoption. There are certain segments of the Chinese society who opposed to the name change, citing the fact that the new name contains too many character strokes, making it much more difficult to write. They have proposed to revert the name back to the version used before 2004, but with the word "奴" (slave, which was mainly the cause of the controversy) to the similar sounding, but more positive "努" (perseverance). The traditional Indian name for Terengganu has been 'Tringganu'. Since the land was once Hindu influenced, the name Tringganu or Tri-anggan-ur is believed to be named after the Hindu deity Lord Dattātreya. Lord Dattātreya is identified as the personification of the Hindu trinity or Trimurti namely Brahma, Vishnu and Shiva. Terengganu's location by the South China Sea ensured that it was on trade routes since ancient times. 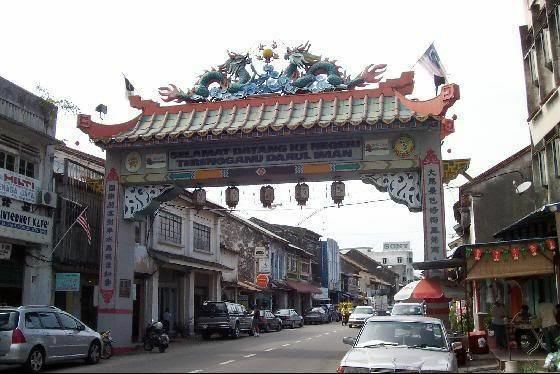 The earliest written reports on the area that is now Terengganu were by Chinese merchants and seafarers in the early 6th century A.D. Like other Malay states, Terengganu practised a Hindu–Buddhist culture combined with animist traditional beliefs for hundreds of years before the arrival of Islam. Under the influence of Srivijaya, Terengganu traded extensively with the Majapahit Empire, the Khmer Empire and especially the Chinese. Terengganu was the first Malay state to receive Islam, as attested to by the Terengganu Inscription Stone with Arabic inscriptions found in Kuala Berang, the capital of the district of Hulu Terengganu. The inscribed date which is incomplete due to damage can be read as various dates from 702 to 789 AH (1303 to 1387 CE). Terengganu became a vassal state of Malacca, but retained considerable autonomy with the emergence of Johor Sultanate. Terengganu emerged as an independent sultanate in 1724. The first sultan was Tun Zainal Abidin, the younger brother of a former sultan of Johor, and Johor strongly influenced Terengganu politics through the 18th century. However, in the book Tuhfat al-Nafis, the author, Raja Ali Haji, mentions that in the year 1708, Tun Zainal Abidin was installed as the Sultan of Terengganu by Daeng Menampuk - also known as Raja Tua - under the rule of Sultan Sulaiman Badrul Alam Shah. In the 19th century, Terengganu became a vassal state of the Thai Rattanakosin Kingdom, and sent tribute every year called bunga mas. Under Thai rule, Terengganu prospered, and was largely left alone by the authorities in Bangkok. The terms of the Anglo-Siamese Treaty of 1909 saw power over Terengganu transferred from Siam to Great Britain. A British advisor was appointed to the sultan in 1919, and Terengganu become one of the Unfederated Malay States. The move was highly unpopular locally, and in 1928 the British used military force to suppress a popular uprising. During World War II, Japan occupied Terengganu and transferred sovereignty over the state back to Siam, which had been renamed Thailand in 1939, along with Kelantan, Kedah, and Perlis. After the defeat of Japan, British control over these Malay states was reestablished. Terengganu became a member of the Federation of Malaya in 1948 and a state of independent Malaya in 1957. Following decades of rule by the Barisan Nasional coalition, the Pan-Malaysian Islamic Party (PAS) came to power in the Malaysian general election, 1999, making Terengganu the second state in Malaysia to be ruled by the Islamist party (the first being neighbouring Kelantan). However, in the Malaysian general election, 2004, Terengganu was recaptured by the Barisan Nasional. Terengganu is situated in eastern Peninsular Malaysia, and is bordered in the northwest by Kelantan, the southwest by Pahang, and the east by the South China Sea. Several outlying islands, including Pulau Perhentian, Pulau Kapas and Pulau Redang, are also a part of the state. The state has a total area of 13,035 km2 (5,033 sq mi). Terengganu has a population of 1,015,776 as of 2010, which increase to 1,153,500 in 2015. In 2006, Malays make up 94.7% of the population and Chinese, 2.6%, while Indians 0.2% and other ethnic groups comprise the remainder, 2.4%. According to the 2010 census, the ethnic composition of Terengganu is 97% Bumiputras, 2.6% Chinese, 0.2% Indian, and 0.1% others. In 2000, the state's population was only 48.7% urban; the majority lived in rural areas. By the 2005 census, the proportions had changed significantly, with 51% of the population living in urban areas and 49% in the rural areas. Terengganu is one of Malaysia's most homogeneous state along with Kelantan. More than 95% of the population is ethnically Malay. But despite being more than 95% Malay, there are other ethnic groups that lives in the state as well that is the Chinese (mostly Hoklo), Indians (mostly Tamils), Siamese and Orang Aslis (Batek and Semaq Beri). Terengganu Malays are the majority Malay sub-group in the state. They are the dominant Malay sub-group in all districts of Terengganu except for Besut and northern Setiu. They habitually speak Terengganu Malay language which is distinct but closely related to Kelantanese variety in the north. Terengganu Malays are also known for their rich cultures and traditions, one of the most well known is the Ulek Mayang. Besut Malays are predominantly found in the district of Besut and northern Setiu. Despite being Terengganu citizens, they are ethnically, linguistically and culturally still maintain strong ties with Kelantan and many also considered themselves as Kelantanese rather than Terengganuans. Most Malays in Besut and northern Setiu speaks only Kelantanese, although those who have long been exposed to other districts of Terengganu can speak Terengganuan as well. The Chinese Terengganuan forms the largest minority ethnic group in the state. They are mostly Hoklo by ancestry and speaks a dialect of Hokkien. Unlike other parts of Malaysia, the Chinese in Terengganu are much more assimilated, they speak fluent local Malay (Terengganuan in most parts of Terengganu and Kelantanese in Besut) and also share similar lifestyle. 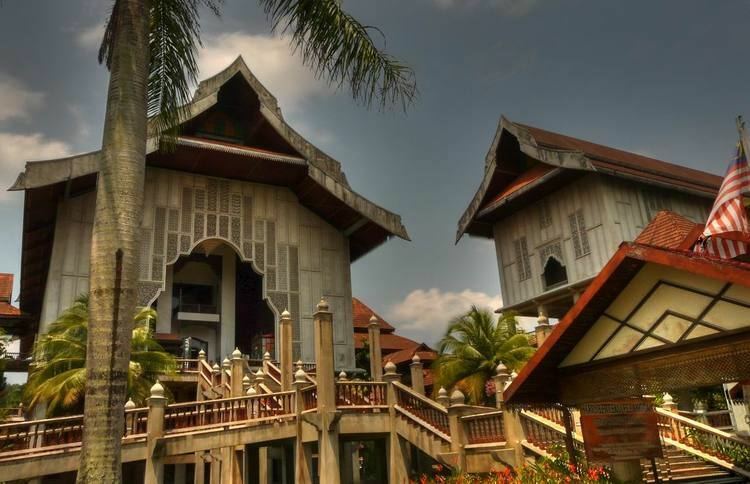 They also have a local Peranakan culture known as "Mek Awang" which is a mixture of Chinese (mostly Hoklo) and Malay (Terengganu Malay) cultures, this can be seen in their cuisines and clothings and their language as well. Indians in Terengganu are mostly Tamils and majority are adherents of Hinduism, although minority follows Islam. Like their Chinese counterparts, the Indian community in Terengganu are highly assimilated, with many can speak Terengganu Malay along with Tamil, Standard Malay and English. There is one major Hindu temple in Kuala Terengganu. Most Indians in Terengganu lives in urban areas like Kuala Terengganu. The Siamese in Terengganu maintains small but well organised community. They can be found in Besut and few in Setiu and Kuala Terengganu. Physically there is little differences between Malays and Siamese other than their name and religion. Their native language is Southern Thai language but most speak Kelantanese as large numbers of them lives in Besut. One of the most well known Terengganuan Siamese is Siri Neng Buah, currently the president of Malaysian Siamese Association. The Orang Aslis are the indigenous peoples of Peninsular Malaysia. In Terengganu they can be found mostly in Hulu Terengganu and Besut districts. There are two Orang Asli ethnic groups in Terengganu, the Semaq Beris lives near Lake Kenyir or other parts of the district, they belong to Senoi group. Besides the Semaq Beris, there are also Batek people, a Semang ethnic group mostly found in interior parts of Terengganu, especially in Taman Negara area or in other parts of Terengganu. Both Semaq Beris and Bateks still maintain their semi-nomadic lifestyle although some now lives in permanent homes. Both are also speakers of Austroasiatic languages. The people of Terengganu generally speak Coastal Terengganu Malay, which is distinct from standard Malay and Kelantan-Pattani Malay, except for those in Besut district, Perhentian Islands and some parts of Setiu where Kelantanese are more dominant. Those that live in Hulu Terengganu had their own distinct variant but closely related to Coastal Terengganu Malay. Chinese Terengganuans are predominantly Hoklo people and thus mostly speak Hokkien as their first language, although a number of Mandarin speakers are increasing. Indians in Terengganu mostly speak Malaysian Tamil. There is also an Orang Asli languages such as Batek and Semaq Beri, spoken in inland parts of Terengganu and is part of the Austroasiatic language family. According to the 2010 Census, the population of Terengganu is 96.9% Muslim, 2.5% Buddhist, 0.2% Hindu, 0.2% Christian, and 0.2% follower of other religions or non-religious. The Constitution of Terengganu came into force in 1911. It has a supplement that came into force in 1959. The official English title for the 1911 constitution is "The Constitution of the Way of Illustrious Sovereignty". The 1959 constitutional supplement is divided into two sections. The sections' official English language titles are "The Laws of the Constitution of Terengganu (First Part)" and "The Laws of the Constitution of Terengganu (Second Part)"
The Sultan is the constitutional ruler of the state of Terengganu. The State Constitution proclaims that the Sultan is "the Ruler and fountain head of all authority of government in the State and Territory of Terengganu", the Head of the Religion of Islam in the state and the source of all titles, honours and dignities in the state. He is also vested with the Executive Power of the State. The hereditary Sultan of Terengganu since 1998 has been Sultan Mizan Zainal Abidin. Between 2006 and 2011, the current Sultan was elected as the 13th Yang di-Pertuan Agong or King of Malaysia. As per the Malaysian constitution and the State constitution, the King cannot reign both as the Head of State of the federation and as ruling monarch of his state. During his tenure as King of Malaysia the state ruler appoints a Regent to rule in his place. The Regent (Pemangku Raja) of Terengganu is now the King's eldest son, Tengku (Prince) Muhammad Ismail. As he is not yet of age suitable for the post (being only eight years old), the Prince co-reigns with the three-member Regency Advisory Council (Majlis Penasihat Pemangku Raja) headed by Raja Tengku Baderulzaman (the King's younger brother) as dictated by syarat (2) Fasal 16 AA Undang-Undang Bagi Diri Kerajaan Terengganu (Bab Yang Kedua) under the state constitution. When Terengganu was an absolute monarchy, the Chief Minister was selected by the Sultan of Terengganu. Since the declaration of independence of Malaysia (then called Tanah Melayu) and the first general election, the Chief Minister has been the State Assembly (ADUN) member elected by a majority of all State Assembly members, who are themselves elected by universal adult suffrage of the citizens of their constituencies. Below is the list of the Chief Ministers of Terengganu from 1925. Following the ruling party UMNO's return to power over Terengganu after winning 24 out of 32 seats in the 2008 general elections, Prime Minister (PM) Abdullah Ahmad Badawi put forth the reappointment of Datuk Seri Idris Jusoh to a second term as Menteri Besar. In what political analysts described as a possible constitutional crisis, trouble began to precipitate after the Sultan of Terengganu, Tuanku Mizan Zainal Abidin, who is also the then Yang di-Pertuan Agong (King) of Malaysia refused to re-appoint and swear in Idris as Menteri Besar. Similar problems occurred in the state of Perlis where the PM's choice was also rejected, in which the latter eventually gave in to its Sultan. The Sultan of Terengganu appointed Ahmad Said instead for the job, with the Regency Advisory Council handing him the letter of appointment. The PM claimed that the appointment of Ahmad Said was unconstitutional as it went against the wishes of the assemblymen and the Prime Minister's office who have supported Idris Jusoh candidacy for Menteri Besar. In spite of threats to strip Ahmad Said of his party membership "for disobeying the leadership", he went to the office in Wisma Darul Iman to begin the first day of his new appointment on 25 March 2008. The party announced earlier that they made good on their promise to remove his membership, which technically disqualifes him to be appointed as Menteri Besar in the first place. The ruling also planned to vote down the sultan's choice through a motion of no-confidence by 22 UMNO state assemblymen. The opposition party Parti Islam SeMalaysia in the meantime promised that its assemblymen would support Ahmad Said as Menteri Besar. On 26 March 2008 however, PM Abdullah Ahmad Badawi and Sultan Mizan Zainal Abidin met at Istana Negara to resolve the deadlock. The Prime Minister reversed his stance and decided to accept the King's appointment of Ahmad Said as Chief Minister of Terengganu. He also apologised to the King for the public spat over the appointment of the Menteri Besar, explaining that there was no intention to disparage or humiliate the royal household. The apparent backdown was due to threat that the royal household would be prepared to dissolve the state assembly if the motion of no-confidence was initiated against Ahmad Said, which would trigger another election in what is already a climate of discontent towards the ruling party and the possibility of dissenting assemblymen defecting to the opposition. The UMNO Supreme Council proceeded to endorse Ahmad Said as the new Menteri Besar of Terengganu. With the resolution of the impasse, Ahmad Said expressed his gratefulness on his appointment and paid tribute to Idris, an old friend he has known since university, for the work he has done for the Terengganu people so far and to seek his advice. After the swearing in ceremony where the duties are handed over from Idris, he also expressed hopes in moving on to discharge his responsibility to the people and eradicate poverty within the state. The state executive council (EXCO) is established by the constitution. It is composed of the Menteri Besar, who is its chairman, and ten other members. The Menteri Besar and the other members of the council are appointed by the Sultan ( or Regent ) from the members of the State Assembly. The Menteri Besar is currently Ahmad Razif Abdul Rahman. Terengganu used to be Malaysia's poorest state until oil and gas were discovered off its coastline not too long ago. Terengganu's main industry now is petroleum and gas. There are huge petrochemical complexes near Paka and Kerteh, involving many joint ventures between the Malaysian national oil company, Petronas, and foreign multinationals. Tourism and fishing are also major industries in Terengganu, a state with a long coastline. Agriculture also remains important, with banana, rambutan, durian, watermelon, and various other fruits and vegetables available in season. Terengganu was traditionally famous for boat-building, with highly decorated carved wooden boats called bangau to be found in the harbour of every village and town in days not so long gone by, before electric motorboats became standard equipment for the state's fishermen. Terengganu did not receive many Indian or Chinese migrants, and therefore Malay cultural influences predominate. Traditional pursuits such as kite-flying contests, top-spinning contests, and traditional arts & crafts, such as batik and songket are still very much alive. 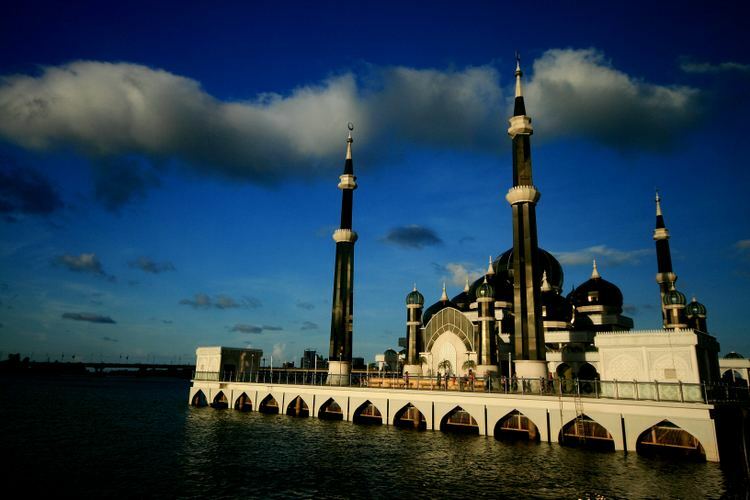 The people of Terengganu have always had a reputation for being socially conservative and devout Muslims. The major tourist attractions in the state include: Kuala Terengganu, the capital; Islamic Heritage Park, Tasik Kenyir, a large artificial lake; Sekayu Waterfalls; Kuala Ibai Lagoons; Batu Burok Beach, Kemasik Beach, Rantau Abang, Setiu Wetlands, Marang, Chukai town and several offshore islands such as Pulau Redang, Pulau Lang Tengah, and Pulau Kapas, and the Pulau Perhentian, which attract beachgoers and snorkelers because of their picture perfect beaches. Many travellers find the relatively rural and tranquil atmosphere in the state conducive to a relaxing holiday. Terengganu has recently been known internationally as the host of Monsoon Cup, which was first held in 2005 and then became an annual national sporting event. The event brought millions of ringgit of investment into the state from the private sectors and Malaysian Government. Tourists flocked to Kuala Terengganu and Duyong to witness this event, held during the monsoon season, which had previously been low season for tourism in Terengganu. 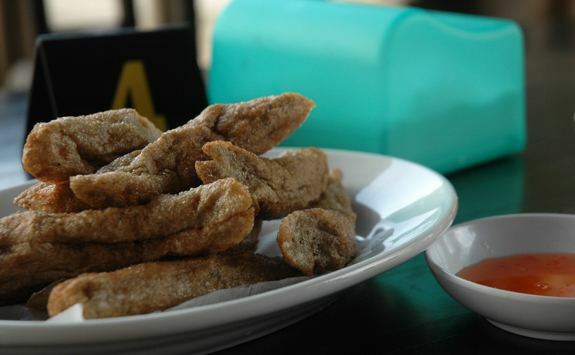 The most famous local food is Keropok Lekor, which is made primarily from a combination of dough (sago flour) and pounded fish mainly from mackerel and sardines, fried and served with hot chilli sauce for afternoon tea. Keropok Keping (fish crackers) are made from sun-dried slices of Keropok Lekor. Numerous keropok stalls are to be found on the side of the highway that passes through coastal communities. Keropok lekor best eaten with local chili sauce, made from dried chili, tamarind, sugar and vinegar. Budu, a very pungent and salty anchovy sauce is also popular among the locals. It is often mixed with sliced onions and chillies as condiments. Budu made from ikan bilis fermented with salt. There are other version of budu, known as Pelara were made by using mackerel were popular among the older generation, can be found in traditional market sold in bottles. Laksam (or laksang in Terengganu Malay), a modified version of laksa, is made from rice flour (thick and soft slices). It is served in a bowl of light fresh coconut milk mixed with boiled fish flesh (mainly mackerel), finely chopped cucumbers, chillies, onions and long beans. It is eaten cold at breakfast. 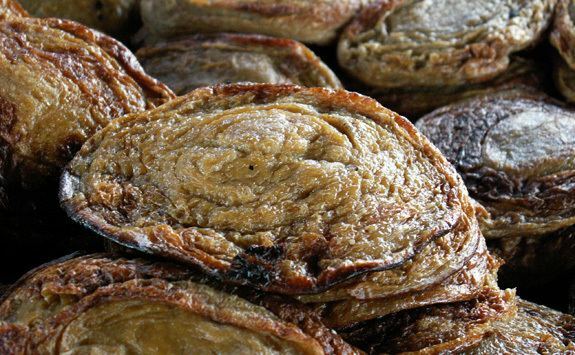 Another Terengganu speciality is sata, a type of otak-otak or fish cake wrapped in banana leaves and cooked over a grill. Sata made from combination of fish and grated coconut, with some portion of spice. Nasi dagang is also popular. There are several institutes of higher learning in Terengganu. They are either categorised as Institut Pengajian Tinggi Awam (IPTA); public university or Institut Pengajian Tinggi Swasta (IPTS); private university. Among public universities which have campus in Terengganu is the Universiti Sultan Zainal Abidin and Universiti Malaysia Terengganu. Both universities have campus in Gong Badak, in north Kuala Terengganu. Beside that, Terengganu also had 3 Universiti Teknologi MARA branches, in Kuala Terengganu, Dungun and Bukit Besi. Also, Terengganu host several private university and college, such as TATI University College in Kemaman, UCSI Terengganu campus in Marang, Institut Teknologi Petroleum PETRONAS (INSTEP) in Batu Rakit, Kuala Terengganu and Kolej Teknologi Bestari in Setiu, Politechnics Sultan Zainal Abidin, among others. Secondary school (high school) education is provided by Sekolah Kebangsaan (National School, e.g. : Sekolah Kebangsaan Sultan Sulaiman), Sekolah Jenis Kebangsaan (National-type School) Chinese primary schools, and Sekolah Ugama (Religious schools, e.g. : SMA Sultan Zainal Abidin Ladang). All of them follow the syllabus and curriculum provided and regulated by the Malaysian Ministry of Education (Kementerian Pendidikan Malaysia). Every year the state government spends RM34 million to develop education in Terengganu. Part of these grants ensures that every eligible primary school student in Terengganu is able to get a Netbook worth RM1000 to help in their studies. Terengganu is served by Sultan Mahmud Airport located in Kuala Nerus District.